Prime Minister Tuilaepa Dr. Sa’ilele Malielegaoi should have taken more care to check his facts before he leapt to name two members of the public as suspects in the Government’s search for the Ole Palemia (O.L.P.) blogger. So said Vui Seigafolava Sione Masinamua, one of two people identified by Prime Minister Tuilaepa as O.L.P. during an interview with Talamua Media last week. The second person is Namualuulu Albert Ainu’u, who is based in the United States of America. Both men have strongly denied the allegation. Whereas Namulauulu told the Samoa Observer that Prime Minister Tuilaepa’s claims are wrong and defamatory. Vui, who is based in Sydney Australia, told Eddie Taualapini’s ET Live programme that Tuilaepa’s allegations would eventually be tested in Court. He strongly rejected the claim. As someone holding such high profile public position, Vui said he would have expected Prime Minister Tuilaepa to be a lot more careful, especially with claims that damage people’s reputations. Asked for a comment on being labeled O.L.P., Vui said nothing could be further from the truth. He explained that he is one of O.L.P’s critics because of the language he/she sometimes uses against the Prime Minister. Vui said Tuilaepa as a person might not necessarily be his favourite, but he remains the Prime Minister of the Independent state of Samoa and as such, he should be accorded the respect he deserves. He added that he does not appreciate the foul language and words often used by O.L.P. against Prime Minister Tuilaepa. But he went on to call on Prime Minister Tuilaepa to lead by example when it comes to his public comments. Many times, Vui said, Prime Minister Tuilaepa is extremely reckless with words he uses in public. Some of his choices of words are extremely disrespectful and arrogant. Talamua immediately retracted its story, apologising to Namulauulu and Vui. The story has also been pulled from the website. But Vui told ET Live the damage has already been done and that he has had to call for calm from his family members who are not happy with what Prime Minister Tuilaepa has done. When reports surfaced online about Prime Minister Tuilaepa’s revelation, the Samoa Observer contacted Attorney General, Lemalu Hermann Retzlaff for a comment. “I've just seen that PM Tuilaepa has named Vui and Albert Ainuu as part of the O.L.P. group,” the email from the Samoa Observer to Lemalu reads. “Was this uncovered by the Government's investigation?" "Does the government have proof that these people are indeed behind O.L.P?" As of last night, no response has been received. 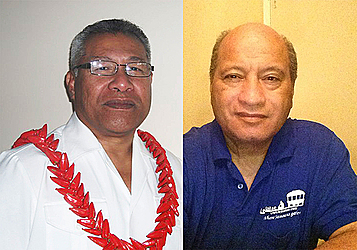 Vui and Namulauulu are not the first members of the public Prime Minister Tuilaepa has associated with O.L.P. since his Government started a manhunt to find out the blogger’s identity. Earlier this year, Tuilaepa used Parliamentary privileges to accuse lone Opposition member, Olo Fiti Vaai, of being O.L.P. The issue surfaced during the debate of the Tobacco Control Amendment Bill 2018. Prime Minister Tuilaepa was speaking about mankind’s free will to choose between good and evil when he suddenly ventured into the issue of O.L.P. That’s when he accused “Levaopolo,” which is Olo’s other matai title, of being "O.L.P.”. 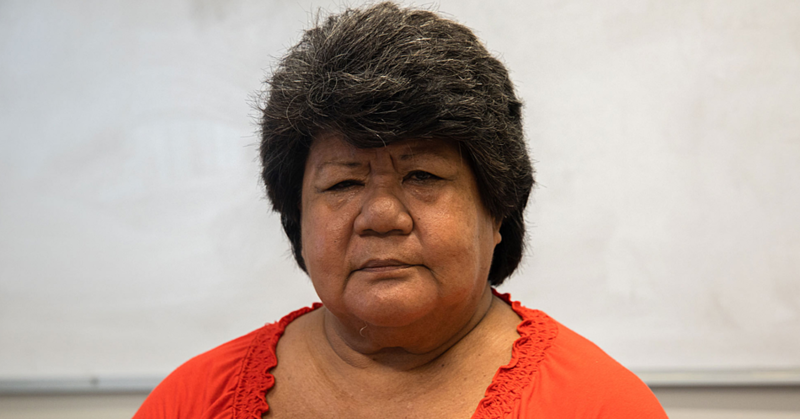 Olo Fiti objected noting it is not the first time the Prime Minister has made the allegation. “I am thankful that I will be taken to Court so we can clear the air on this matter once and for all,” he said. “This is not the first time I have been accused of being the anonymous blogger." During the weekend, Namualuulu confirmed he is considering taking legal action against the Prime Minister. “The recent announcement from Talamua Media published Tuesday 12 June 2018, titled ‘O Le Palemia Ghost Writers Identities Revealed’ by Lagi Keresoma has exposed some desperate smear campaign with unfounded evidence from the Prime Minister Tuilaepa Malielegaoi,” Namulauulu said.